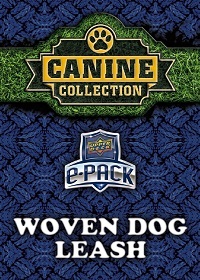 Canine Collection is Now Available on e-Pack! 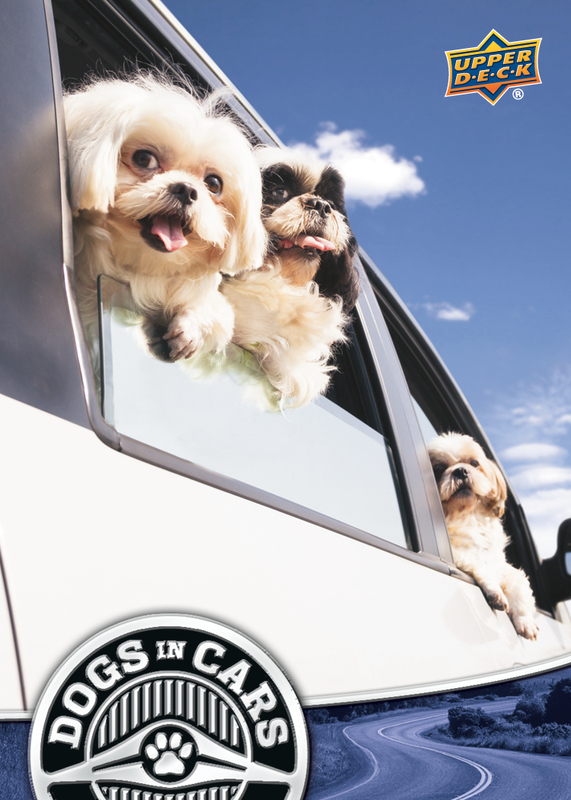 Canine Collection has made its debut and is now available exclusively on Upper Deck e-Pack™! This one-of-a-kind product boasts a 245-card digital Base Set, showcasing a variety of dog breeds, and a 100-card physical Puppy Variant Base Set, featuring adorable dog breeds in their adolescent years. 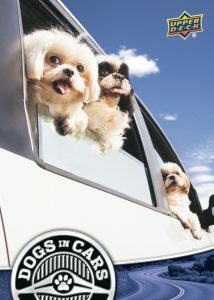 With an assortment of astounding inserts, including Dogs Being Humans, Party Animals, Dogs in Cars and more, this is a unique set that is sure to bring a smile to face of any collector! Through e-Pack, collectors have the ability to turn their digital cards into physical Blue Parallel cards! To do so, collectors must choose to redeem 20 copies of any digital Base Set card. Once redeemed, collectors can have these physical Blue Parallel cards shipped to them! For more information on how to redeem cards for achievements and e-Pack exclusive content, check out the e-Pack FAQ page. 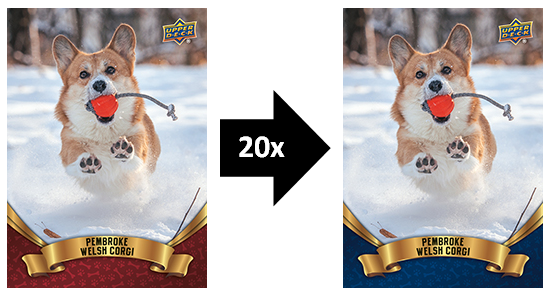 Collectors also have the ability to earn Upper Deck dog leashes! The first 150 collectors who redeem a complete Dog Tags insert set have the option of redeeming those cards for either a leather or woven Upper Deck e-Pack™ exclusive dog leash! 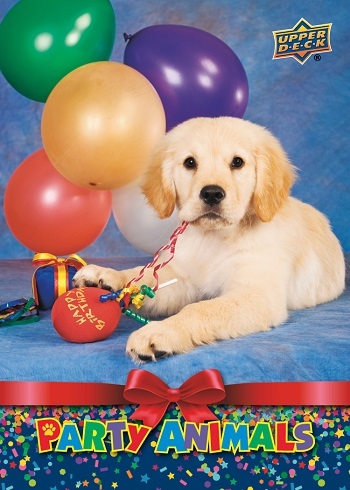 After redeeming for an Upper Deck dog leash, collectors must choose to ship the placeholder card to themselves, at which time the corresponding Leather or Woven dog leash will arrive in place of the digital placeholder card. Act fast – quantities are limited to 50 UD Leather Dog Leashes and 150 UD Woven Dog Leashes. 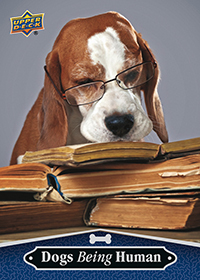 For more information on Canine Collection, be sure to check out Upper Deck e-Pack™ NEWS! 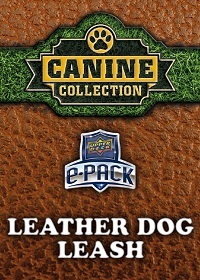 Discover all Pick up your packs of Canine Collection at the Upper Deck e-Pack™ STORE today! © 2019 The Upper Deck Company. 5830 El Camino Real, Carlsbad, CA 92008. All Rights Reserved.